Babies for Beginners - How to keep your baby healthy and happy by Roni Jay is the perfect book for the new parent fresh home from hospital, giving you the absolute basics of babycare. 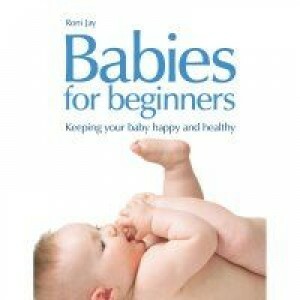 Babies for Beginners - How to keep your baby healthy and happy by Roni Jay is the perfect book for the new parent fresh home from hospital, giving you the absolute basics of babycare. As a first-time parent, you are overwhelmed with information on how to look after your baby. With magazines, books, antenatal classes and friends and family all full of advice  its enough to confuse any about-to-be-parent. From bedtime to bathtime, mealtime to playtime, this book explores the myths around each aspect of babycare and explains which bits of each exercise are really necessary, and which are luxuries; which pieces of equipment are essential, and which you can do without. Its humour and honesty help take the stress out of looking after a new baby and enjoy this time before they grow up. Including step-by-step guides, everything from holding the baby to figuring out how to play with it, is made easy and straightforward.